The Barbara Bush Foundation for Family Literacy hosted an event on Thursday, January 14 to celebrate the Teen Trendsetters programs that were recently launched in Jackson. 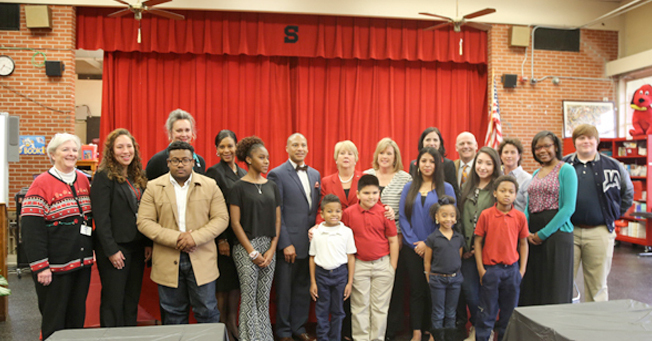 These programs are instrumental in helping struggling elementary school children improve their reading skills. Attending from JA were our 15 mentors, Board of Trustees Chair Ashley Willson, and staff members Audrey Wilkirson, Paula Pratt, Amy Bush, and Michelle Mills. January is National Mentoring Month, which is a perfect opportunity to highlight the importance and success of these critical mentoring programs. The Teen Trendsetters programs consist of volunteer teen mentors who help young mentees who are six months or more behind their peers in reading. 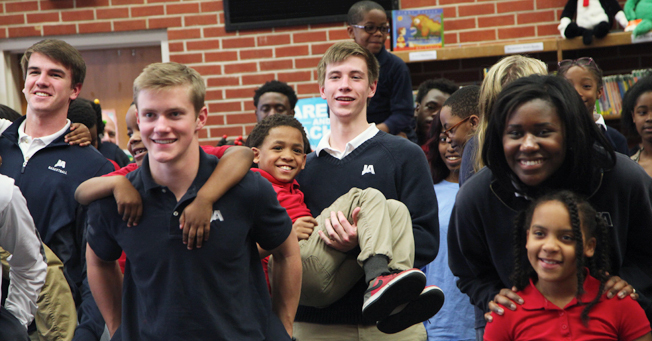 For the 2015-16 school year, the foundation established 11 Teen Trendsetters programs in Jackson, where elementary schools partnered with local middle and high schools. JA and Murrah High School are partnered with Spann Elementary.